Fitzroy Island is a tropical paradise of rainforest and coral beaches within the calm sheltered waters of the Great Barrier Reef Marine Park Australia, located only 29 kilometres off Cairns. 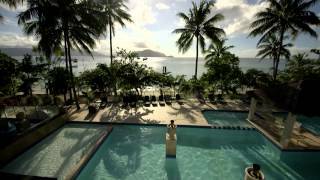 Just 45 minutes by Fast Cat, Fitzroy Island Resort offers affordable 4.5 star accommodation including Ocean Suites, Resort Studios, Beach Cabins and Self-contained Apartments. 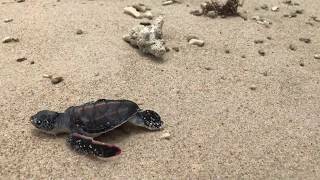 The resort facilities include a beach front restaurant, large pool with swim up bar, dive shop, indoor cinema, Foxy's bar, a general store and Turtle Rehabilitation Centre. 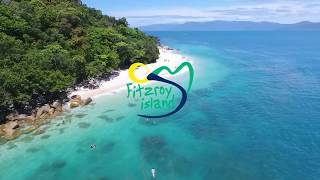 There are plenty of activities for the whole family at Fitzroy Island including sea kayaking, snorkelling the fringing coral reefs, glass bottom boat tours, walking trails, paddle boarding, fish feeding, dive lessons and dive tours as well as its own cinema and games room. Camping is also available. Fast Cat transfers to and from Fitzroy Island depart daily and tickets can be pre-booked from Fitzroy Island Resort. On the beach location with two bedrooms (one queen and two singles beds), generous balcony and beautiful views across Welcome Bay and the Coral Sea, plasma television, tea and coffee facilities. All cabins feature a black marble ensuite. Walk directly from the front balcony onto the Coral Beach. Sleeps up to four guests. Luxury appointed air-conditioned rooms, plasma television, ensuite black marble tiled bathroom, tea and coffee facilities, small fridge. Choice of King bed or two single beds. Sleeps two guests. These luxuriously appointed one-bedroom suites include: generous balcony and beautiful views across Welcome Bay and the Coral Sea, kitchenette, tea and coffee facilities, queen size bed, plasma television, lounge and dining area, ensuite black marble tiled bathroom. Sleeps up to four guests (extra two persons can sleep on a sofa bed). The Welcome Bay Suites are fully self-contained, with a generous balcony with ocean views. The apartment has a full kitchen, crockery and cooking utensils, large fridge freezer, hotplates and oven, microwave, dishwasher, guest laundry, iron and ironing board, toaster, tea and coffee facilities. Air-conditioned with ceiling fans, in both rooms, Queen size bed, plasma television, lounge and dining area, en-suite black marble tiled bathroom with shower. Sleeps up to four (extra guests sleep on a sofa bed, or can accommodate one roll away).